Ever think about the supply chain that goes into an Event? What about a specific event such as the Kentucky Derby? 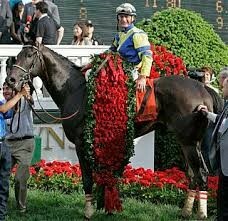 If you are like me, this past weekend I watched the 143rd Kentucky Derby where Always Dreaming brought home the roses. But, the race itself has a long history and is more than just about the horses….and even the fashion. The Derby itself is an incredible event and requires a fully developed supply chain. The Owners, Trainers, Jockeys…and horses: The infamous Garland of Roses that decorates the winner of the Derby has an impressive supply chain itself. Interestingly enough, the Kroger’s Company has been providing the Kentucky Derby’s annual Garland of Roses for 29 years. And the journey of these roses actually begins in Bogota, Columbia. Kroger partners with the Rainforest Alliance and Passion Growers Farm to procure these iconic flowers. What’s truly captivating about this partnership is the commitment to sustainability and innovation in the supply chain. The Rainforest Alliance certifies that Passion Growers Farm utilized sustainable environmental practices in order to grow the roses. After the roses have been distributed to Louisville, a team of master florists is ready to hand-sew more than 400 roses into the garland. The history and tradition of the roses has attracted audiences of 150,000 or more annually, and what is even more compelling is the amount of attention to the supply chain in order to present the roses to the Derby winner. The Spectators: How about a mint julep? During the 143rd Kentucky Derby, bartenders served approximately 127,000 mint juleps. The history of the Julep is just about as rich as the Garland of Roses. The link between juleps and the racetrack dates back to at least the 1820s, however it wasn’t until 1939 that the mint julep became the event’s official drink. Now, what about the supply chain aspect of the julep? Where does the mint come from? The Derby’s mint is locally sourced from Dohn and Dohn Gardens, a farm in the middle of Pleasure Ridge Park, not far off Dixie Highway. For the Derby, there are usually about 800 dozen bunches of mint used. The locally grown mint pairs great with the bourbon, but in order to produce this many bunches of mint, farmer Bill Dohn must employ some local help as well. Middle and high school students come after school to cut the precious crop. The Horses: When thinking about betting on your favorite horse, you might choose them based on their name, their lineage, their thoroughbred appearance, but what about their horseshoes? Now, I too wouldn’t bet on a horse just because of the look or make of their shoes, but this is an integral part of giving the horse a leg up in the race. (Pun intended). Edwin Kinney, owner of Thoro’Bred in Anaheim, CA has nailed his shoes to legends of facing, including Secretariat. This company makes more than 500 shoe varieties from tons of aircraft-grade aluminum and ships them to distributors and race tracks around the world. The farriers then at the race adjust and hammer the shoes into hooves sometimes with only a few minutes to spare before the starting gun at the race. While the farrier trade remains old school, horseshoe manufacturing is fueled by computers. Forging molds, or dies are drawn digitally by designers in 3D and sent to computer controlled routers for cutting. What used to be done by simple milling machines taking a week or more can now be done in about four hours. What is unique about the roses, the mint, and the horseshoes in the Kentucky Derby? The roses were sourced with sustainability in mind. The mint is sourced locally. The horseshoes are sourced around the world, but customized to the horse. Each aspect of the Kentucky Derby has a developed supply chain spanning near and far which ultimately culminates on Derby day. Without these supply chains the event wouldn’t be what it is today. Without the horseshoes, the horses suffer. Without the mint, the mint juleps suffer…and spectators as well! And without the Garland of Roses, what is the Kentucky Derby? These aspects of the Derby make it the race so iconic, and it is important to reflect on the supply chain that brings it all together.